Katia Morocco 7416 creates a lacy effect scarf or wrap on 10mm needles. 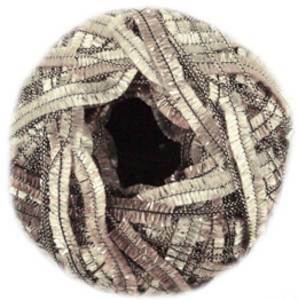 80% polyester/ 20% metallised polyester, washable at 30'. 122m/ 133 yds per 50g ball.